The cleft at the top of this cut gives heart shaped diamonds their unique, super-lovable form. 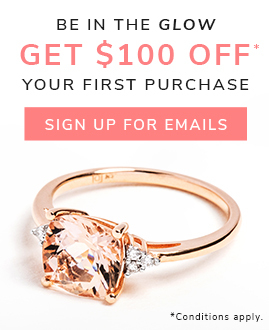 First, the obvious: who wouldn’t want to propose or give a gift marked with the international symbol for love? A fancy shape with a brilliant cut, heart diamonds give off a spectacular amount of sparkle. Who Rocks Heart Diamond Engagement Rings? Heart shaped diamonds are a great choice for the romantics in your life who love to stand out. Case in point: both Lady Gaga and Nicki Minaj have chosen heart shaped diamond engagement rings. 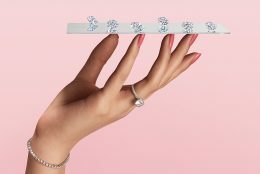 Because this fancy diamond shape is so unique, it’s best to go for this shape only if your SO has hinted at it (read more about this and more in our Ring Buying 101 blog post!). Anyone who has cut out a paper heart knows that symmetry is essential to the heart diamond’s shape. For a diamond with a distinct heart shape, choose a gem with symmetrical halves as well as a sharp cleft in the cut. 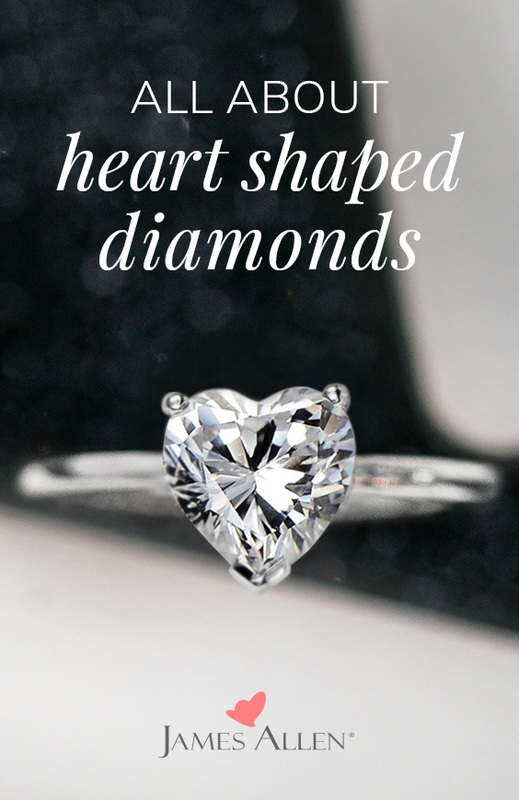 Heart diamonds also tend to show their shape better in larger sizes – if you want a more pronounced heart form, consider a larger carat size for your stone. 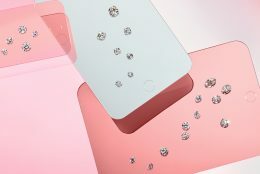 Like other fancy shape diamonds (ex. 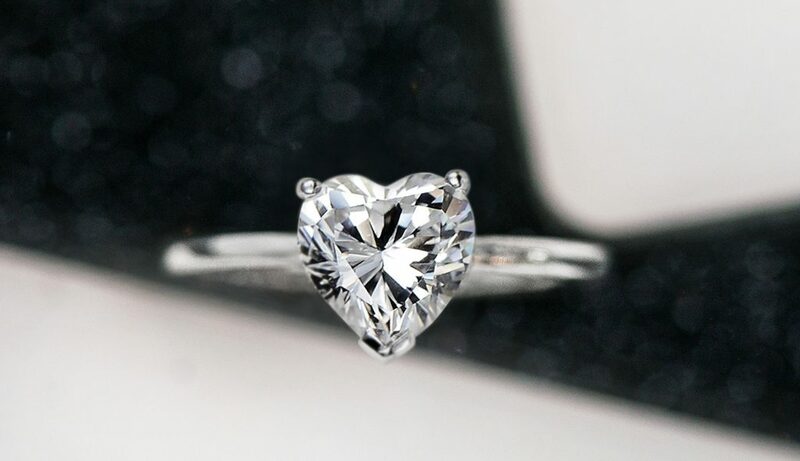 pear and oval cut diamonds), heart shaped diamonds feature the “bow tie effect”: there is a space in the center of each heart shape diamond that does not reflect light. The better cut the heart diamond, the smaller the bow tie effect. Ready to shop your heart out? 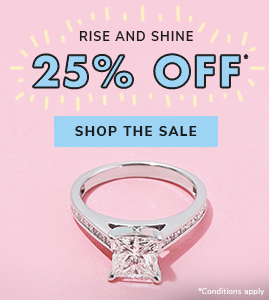 Find your heart shaped diamond engagement ring. Heart these engagement rings? Let us know in the comments below, or on our social channels: Instagram, Facebook, Snapchat, or Twitter.